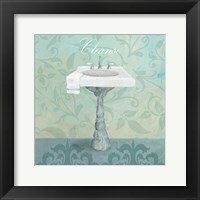 The sink is often the focal point of any bathroom and that is why artists often use it as the focal point in their bathroom themed art. 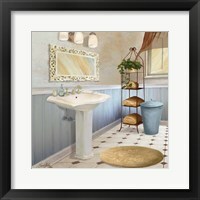 Sinks come in various shapes and styles and our sink art reflects the numerous design options available today. 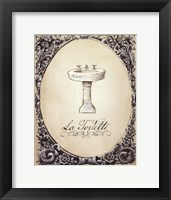 Sink wall art featuring pedestal sinks with clean lines is ideal for a modern bathroom and appeals to the minimalist art lover. 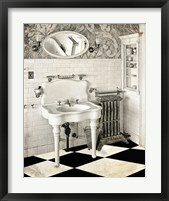 There is also sink art that just features faucets which is another popular choice for a simple look. 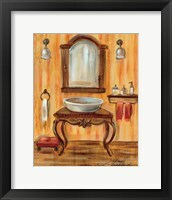 For a more traditional themed bathroom with an old world feel consider artwork that has ornate sinks set in antique furniture. 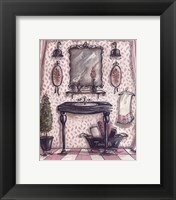 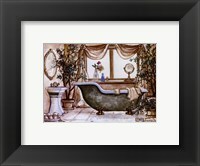 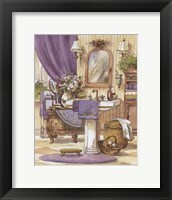 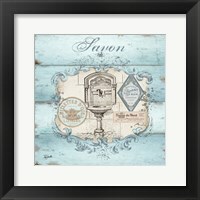 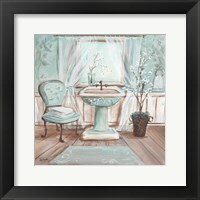 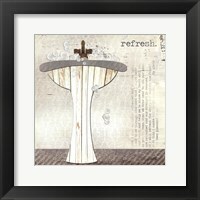 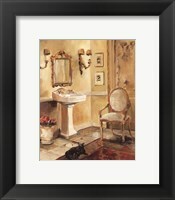 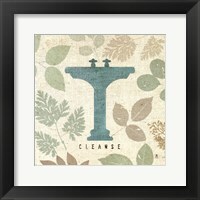 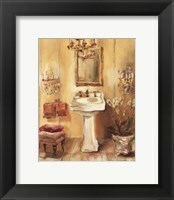 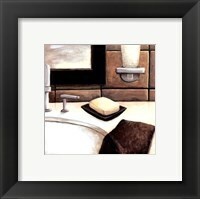 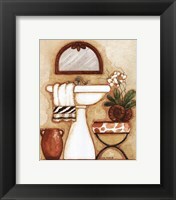 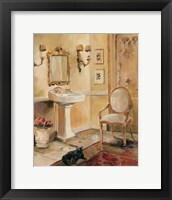 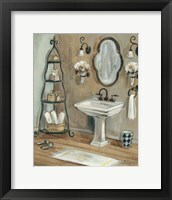 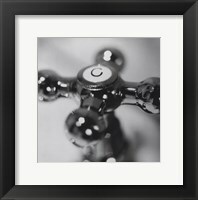 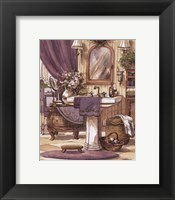 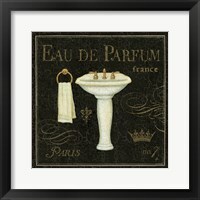 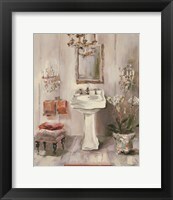 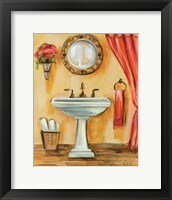 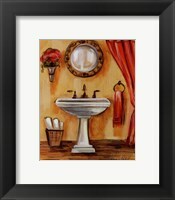 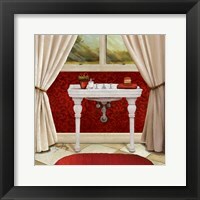 Whether you are in the market for artwork with a Victorian flare or art with a contemporary look, you will find the perfect piece in FramedArt.com’s large selection of prints featuring sinks. 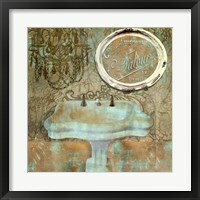 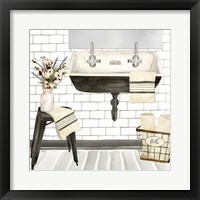 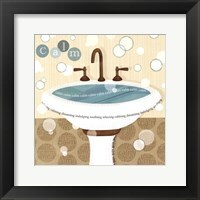 Sink wall art is great for decorating guest bathrooms, powder rooms and kids' bathrooms too. 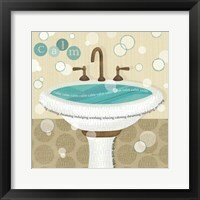 For children, consider sink art with words that promote good hygiene reminding them to wash, brush or floss. 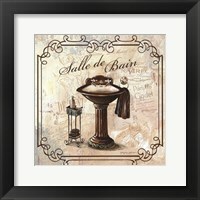 If you are looking to add a touch of je ne sais quoi to your bathroom, then sink wall art with French phrases or toile and damask backgrounds is the way to go. 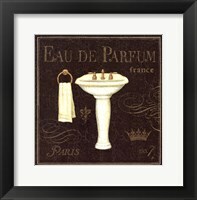 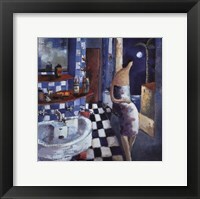 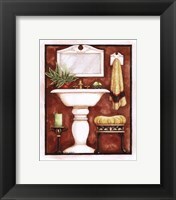 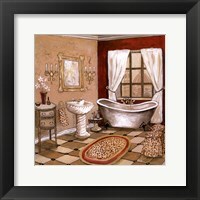 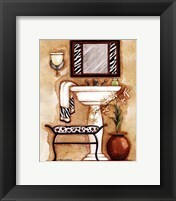 At FramedArt.com, there is a wide range of artwork to choose from that will complement any bathroom’s décor style and color scheme.